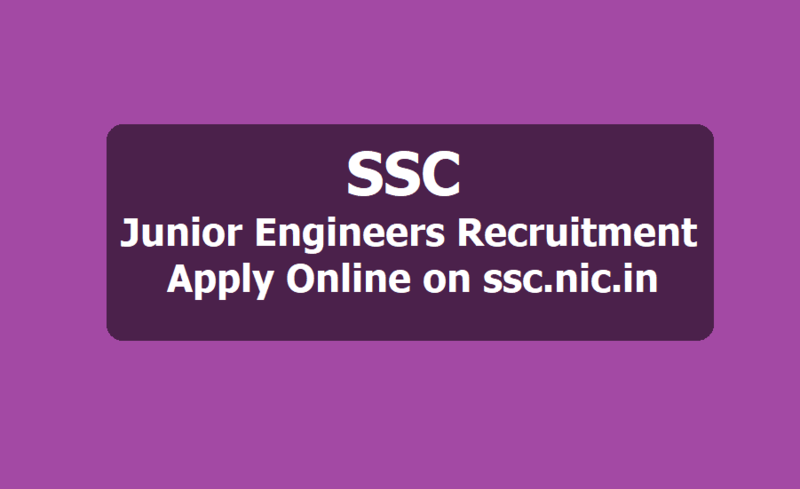 SSC JE Junior Engineers Recruitment 2019, Apply online on ssc.nic.in till February 25: The Staff Selection Commission (SSC) will release official notification for Junior Engineer (JE) exam on February 1. The online applications will be accepted till February 25. The SSC conducts recruitment for various posts in various departments affiliated with the Government of India. For selection to Group B (non-gazetted) junior engineer post, the SSC conducts open competitive computer based exam every year in December-January. The exam is held for filling up vacancies in Central Water Commission, CPWD, Department of Post, National Technical Research Organisation, etc. 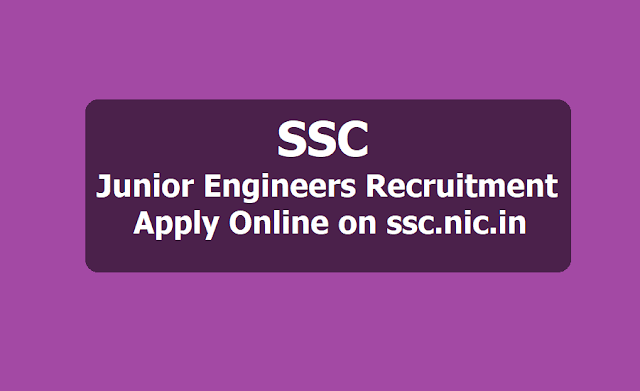 Staff Selection Commission, SSC will begin the registration process for Junior Engineer Exam 2019 soon. Candidates interested in applying for Junior Engineer post can apply for the exam through the official site of SSC at ssc.nic.in. The last date to apply for SSC JE 2019 exam is February 25, 2019. Candidates who want to apply for the SSC JE Exam 2019 need to check the official site of SSC for details. The application fee to apply for the recruitment exam is Rs 100/-. The application fees can be paid both online and offline mode. The examination will be conducted in two phases- Paper I will have 200 marks questions and Paper II will have 300 marks question. Candidates with Diploma or engineering degree can apply for the examination. Staff Selection Commission (SSC) will start the registration process of Junior Engineer from February 1, 2019 and candidates may apply for the examination till February 25, 2019. Candidates who want to apply for the examination can check the official website of SSC at ssc.nic.in and apply for it. Diploma or Degree engineers are eligible to register for the exam. Candidates can check the complete educational qualification from the official notification once it releases. Candidates between 18 to 32 years with engineering diploma/degree are eligible to apply for SSC JE 2019 exam. SSC JE application will be in two parts. In Part I, candidates have to register providing their details, in part II, they have to pay the exam fee and upload scanned images of photograph and signature. Candidates who want to apply for the examination need to pay Rs 100/- as application fee. The fee can be paid both online and offline mode. The examination will be conducted in Computer-based mode. The SSC JE Recruitment exam is held for two papers - paper I and II. Candidates are shortlisted for the recruitment based on their performance in Paper I and II. Paper I is expected to be conducted in September 2019, while paper II may be held in December 2019. The SSC JE Recruitment exam will be conducted in computer-based-mode. Exam will comprise of two papers. While paper 1 will have questions from general intelligence, general engineering (subject specific), paper 2 will have questions from general engineering. The paper 1 will be computer based and the paper 2 will be a written exam. The standard of the questions in Engineering subjects will be approximately of the level of Diploma in Engineering (Civil/ Electrical/ Mechanical) from a recognized Institute, Board or University recognized by All India Board of Technical Education.